Airtel and Telkomsel in Q2FY19. The contributions from the associates were also negatively impacted by the strong Singapore Dollar. As mentioned in My Personal Analysis of Singtel, 48% of Singtel’s net profit comes from its Regional Associates which consists of Airtel, AIS, Telkomsel and Globe. 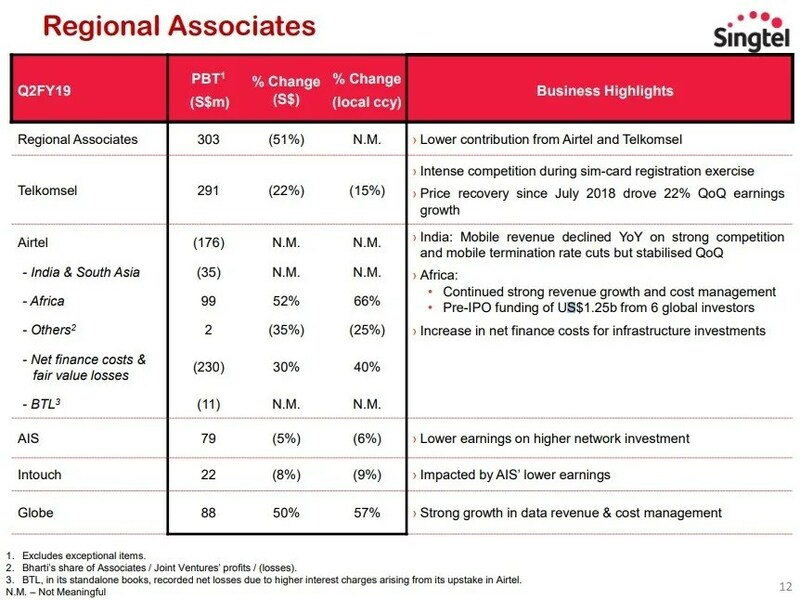 From the presentation slide from Singtel below, I can see that the two regional associates, Telkomsel, the indonesian Telco and India based Telco, Bharti contributed to the decline. There was a lack of information from Singtel about its Regional Associates earnings, thus I can only rely on what I read about from other sources such as analyst review and news coverage. According to what I read about, the contributions from Telkomsel is expected to slide between Q4 to Q1 in 2019 due to the loss of subscribers and industry competition in the first half of 2018. We all know for Telcos, it is all about market share and thus the loss of subscribers to rivals means a loss of revenue. Bharti Airtel also face strong competition from its rival Reliance Jio in India. Reliance Jio added 37 million subscribers driven by its Monsoon Hungama offer, which allows customers to trade-in any old phone for new JioPhone 1, the current top-selling feature phone in India. The Group’s combined mobile customer base declined by 18 million or 2.5% in the quarter to 717 million on declines in Airtel and Telkomsel. 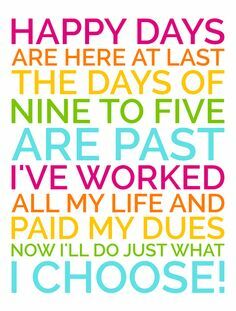 An interim dividend of 6.8 cents was declared. If we base on the current share price of $3.08 and assuming Singtel maintains its full year dividend of 17.5 cents for the next two financial years, the current dividend yield for Singtel is 5.68%. The payout ratio is 77% of underlying profit for the half year ended 30 Sep 2018. I found an excellent article from Ernest Lim. (Read more: Singtel hits multi-year low and all time oversold since 2000! (3 Jul 2018)). It was mentioned that given the weak market sentiments, Singtel share price is unlikely to see any upside in the short term. Technical analysis also shows that Singtel is on a strong downtrend. The near term support is S$2.99 to S$3.01. I would have sold Singtel if I am a short term investor. As a long term dividend investor, I am glad that Singtel has committed its dividend per share at 17.5 cents per share for FY19F and FY20F which gives us a 5.68% dividend yield based on the current price of S$3.08. I shall have to wait for Singtel’s business diversification to bear fruits while my wife continue to collect dividends.